Tour Manager. The sights you’ll see from your ship’s deck are truly spectacular. 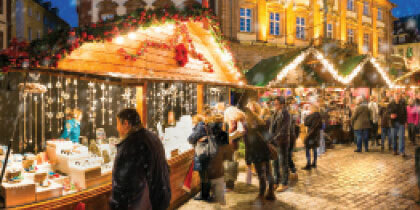 Browse the famous Christmas markets along the Danube. 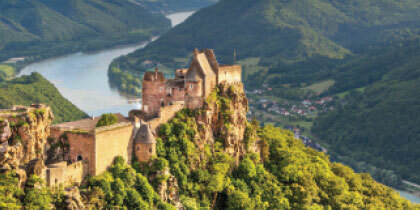 Join a local expert as you explore Würzburg, Nuremberg, Regensburg and Vienna. Take a walking tour of Passau, a 2,000-year old fairytale city. Attend the Captain’s Gala Dinner. Tour Giverney, Monet’s home and gardens for more than 30 years. Visit a local distillery for a Calvados (apple brandy) tasting. Use offer code RIVER19 when booking. *Pricing is per person, based on double occupancy, inclusive of sale discount, and does not include airfare. 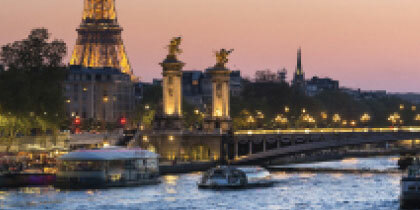 **Use offer code to save per person on specified river cruise tours and departures. Offer is valid for new bookings only made through 5/30/19. Space is limited and available on a first come, first served basis. Lower cabin discount available only on Classic Danube departures. Offers are not valid on group or existing bookings or combinable with any other offer, excluding member benefits. Call to reserve.